WASHINGTON—The nation's 300 million citizens announced Saturday that they are still walking around in a collective awe-inspired daze from the phenomenal blockbuster movie Mr. Popper's Penguins, which in its 13-month run has grossed $312 billion, made Carla Gugino Hollywood's top-paid actress, spawned a No. 1–rated spin-off series on the CW, and inspired 200 million downloads of the "Where's It Poppin?" smartphone app, which directs users to the closest screening of the movie. 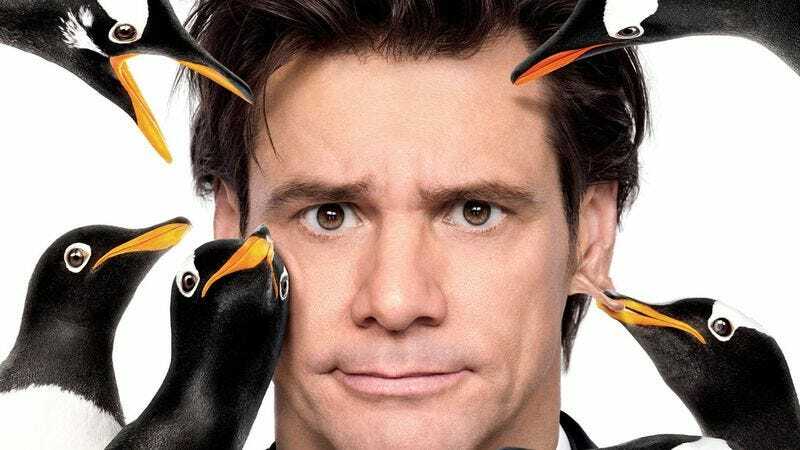 "Not a day goes by at work without hearing [Mr.] Popper['s Penguins] quoted at least five times," said self-described "Pop nut" Cassie O'Hara, 32, proudly displaying the tattoo on her hip of the film's affectionate penguin Lovey. "It's such a vital cultural touchstone. Years from now, historians will describe the world as pre-Popper or post-Popper. I've seen it once a week for the past year, and I'm just now finally getting a little bit tired of it." Indeed, concerned that the film's popularity has finally peaked, animal shelters across America are preparing for a sudden influx of penguins bought as pets and now expected to be abandoned on the street.